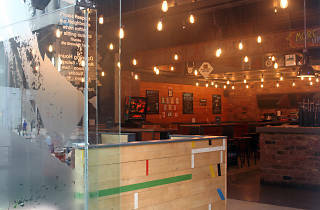 Craft beer bar boasting one of the widest selections of brews in the city, served by staff who know their stuff. 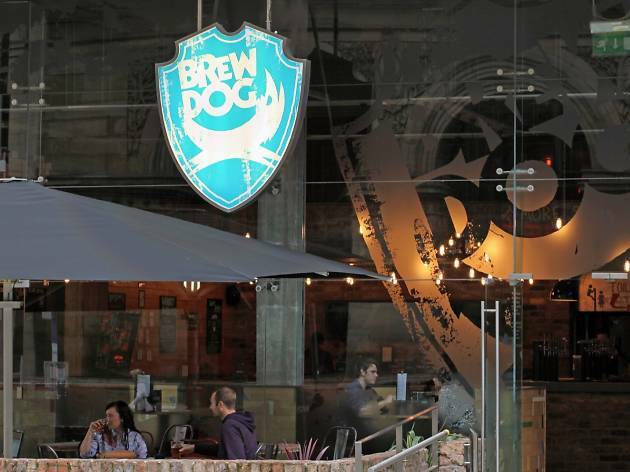 Brewdog are one of the runaway success stories of the new wave of British brewing, now boasting scores of bars across the UK and beyond. 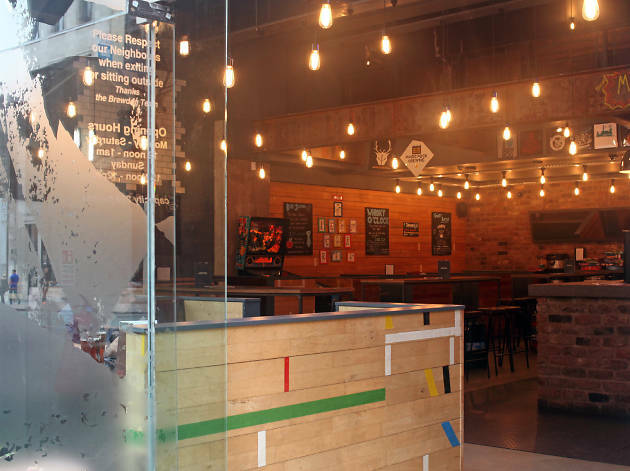 The Manchester chapter has managed to inject some much-needed vigour into a stale Peter Street, with its industrial stylings (exposed girders, concrete floor), small outside seating area, a fine range of board games and a frankly excellent BBQ menu. 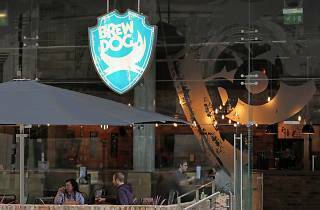 Staff are among the most knowledgeable in the city when it comes to beer. As a sort of ongoing test of their knowledge, the beer selection is vast and ever-changing. 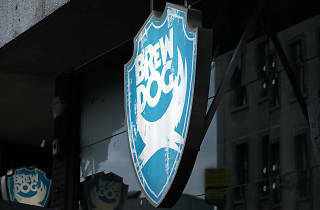 The core range includes the widely known Punk IPA and 5AM Saint – a pale ale and ‘iconoclastic’ amber ale, respectively. 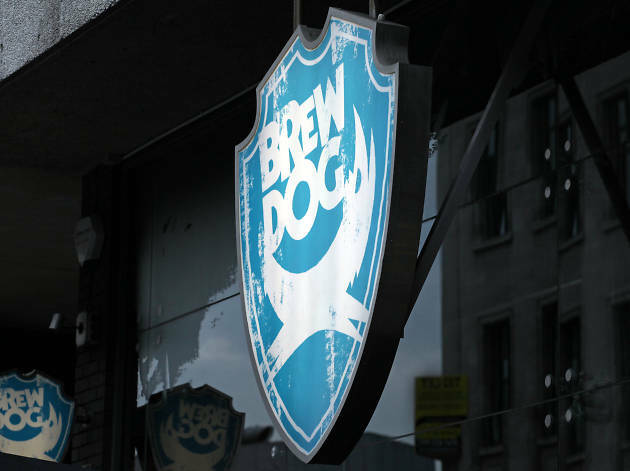 But, if you’ve sampled Brewdog’s staples one too many times, a sense of adventure is welcomed. On a recent visit their own draught board included Brixton Porter, the low-alcohol Blitz Passion Fruit and Shipwrecker Circus, a limited edition 10.5 percent barley wine made in collaboration with Oskar Blues, Colorado. Guests were as diverse as Wild Beer Co.’s Epic Saison and Magic Rock’s High Wire. Bottles are sourced from Britain, Europe and the States: look out for Stone Brewing Co. and Mikkeller.